The deserts in Southern California are often overlooked as a recreation hot spot, but the area is full of beauty (Joshua Tree), relaxation (Palm Springs), and freedom (Anza Borrego). About an hour south of Palm Springs along the 111 highway, lies the Salton Sea, a desolate wasteland full of abandoned yacht clubs, dead fish, flooded neighborhoods, and nudist colonies. 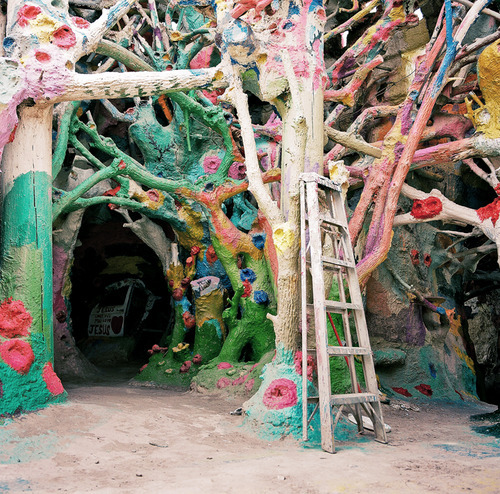 Among this lies Salvation Mountain, a 70 foot tall mountain made of adobe mud, hay bales, sticks and an unlimited supply of paint. The project is the life’s work of creator Leonard Knight. The mountain serves as a pilgrimage for Christians, hippies, and adventurers. While the mountain has a certain amount of lore, it remains relatively unnoticed. The biggest stage Knight’s mountain has been featured on, was ‘Into The Wild’ when Emile Hirsch tour’s the landmark while staying in nearby Slab City. 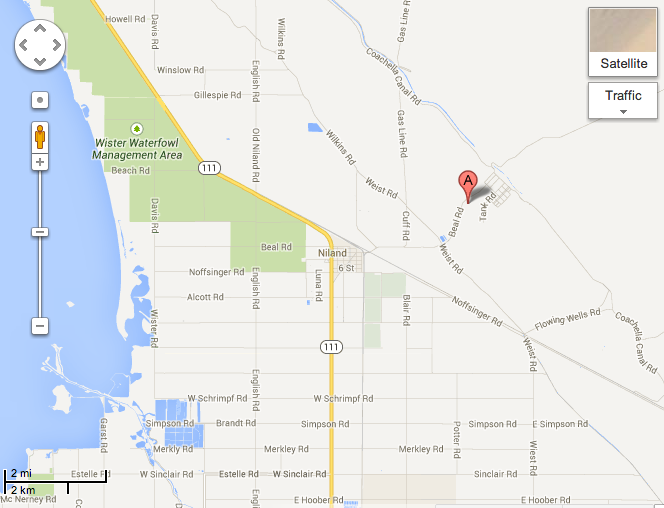 As you follow the 111 highway as it wraps around the east side of Salton Sea, you’ll come to Niland, CA. Once you reach Main st, head east away from the lake. After about 5 minutes, the mountain will come into view. Leonard’s work is breath taking. There are few words that can describe the mountain’s power, and the mutli-colored giant has so many intricate details, it’s worthy of several repeat visits. What makes this trip even better, is the mountain features a ‘yellow brick road’ that climbs to the top of the mountain. Behind the mountain, you’ll find a series of huts constructed of hay bales and paint with the roof constructed on scattered driftwood from the sea. Leonard is the epitome of conservation, reusing literally every piece of plastic, wood or metal that comes to his property. The man’s creativity is unending, which he credits to God’s everlasting love. As soon as you walk into these huts, you’ll notice the temperature drop about 50 degrees. About 1/4 mile down the road is Slab City. 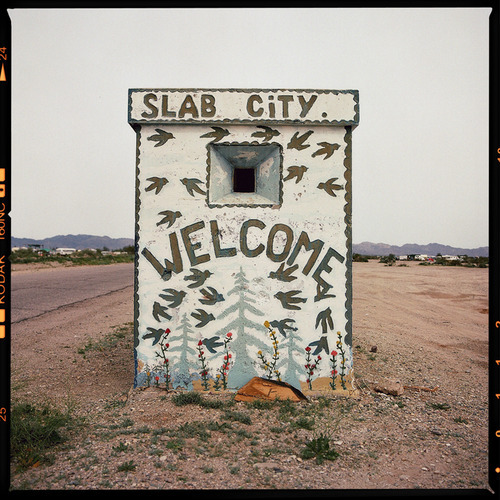 A former Air Force base, Slab city is a drifter’s town named after the concrete slabs left over from the Military. The shanty town can feel a little rough, but revolves around the local’s impromptu flea markets and yard sales for passing travelers. Saturdays bring out the best in Slab City, a weekly stage show called “The Range at Slab City”. Patrons toting six-packs, whiskey and cigarettes spend this weekly celebration dancing and proclaiming their freedom from the rest of the world. Given the timing of this post, Leonard Knight has been staying in an assisted living home for the past couple years, so maintenance of the mountain relies heavily on volunteers. Given that the mountain no longer has a passionate groundskeeper, the location’s future is fairly undetermined, making this day trip a must for Southern California travelers, photographers and adventurers.